Millions of young girls across the country watched the US Women’s National Team capture its third Women’s World Cup Sunday night. If they dream of making the national team one day, they should recognize a key factor in the development of many of our star players. Most of them played other sports in addition to soccer growing up. USA Today surveyed the players on the current US Women’s National Team and found that they played at least 14 different sports collectively before they focused solely on soccer. Morgan Brian played basketball. Lauren Holliday participated in basketball, baseball and track. Arguably one of the best players ever for the national team, forward Abby Wambach, credits her days playing basketball to her soccer success. Increasingly parents sign their sons and daughters up for year-round soccer and travel teams as early as six and seven years old. By focusing solely on soccer, they believe that their kids have a better chance of later earning a college scholarship. College soccer coaches, however, don’t necessarily want players who only played soccer growing up. A survey of Division I coaches by US Youth Soccer showed that an overwhelming majority believe kids should wait until high school or later to focus solely on soccer. Only 8.5% of the coaches felt that kids should only compete in soccer during middle school or earlier. Legendary coach of the University of North Carolina women’s soccer team, Anson Dorrance, looks for athletes who excel in multiple activities and not just soccer. “We don’t want the kid who’s pasteurized and geared for one thing,” Dorrance explained in a 2014 interview with ESPN the Magazine. “We want the kid that wants to beat you in everything – even freaking tiddlywinks.” His Tarheel teams have won 21 NCAA women’s soccer championships. 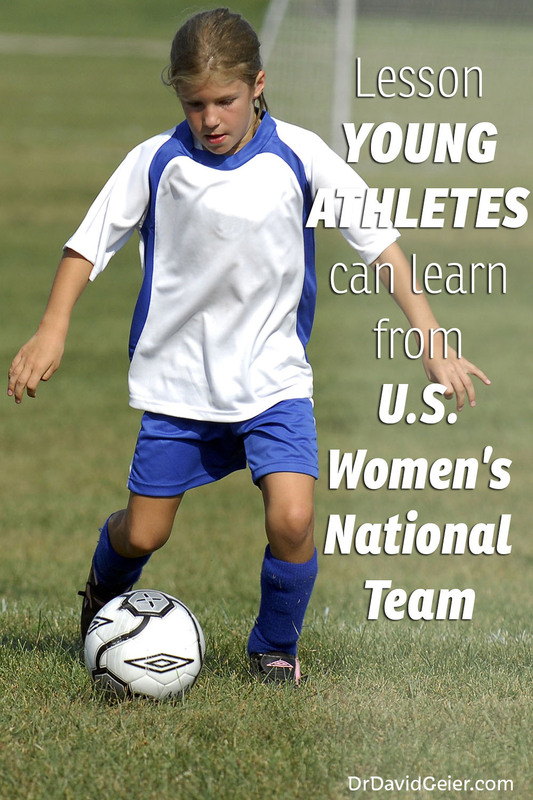 Playing other sports might help young athletes develop skills that later make them better soccer players. That variety might also help them stay motivated to play soccer as they get older. Young players on club and travel teams practice and play in matches and tournaments five or six days a week, comparable to the time their parents spend at their jobs. That’s the risk with early specialization in sports. We are turning youth sports – and soccer in this case – into work for the kids. The STOP Sports Injuries campaign points out that 70% of kids quit playing organized sports by age 13. Burnout is one of the major contributing factors. 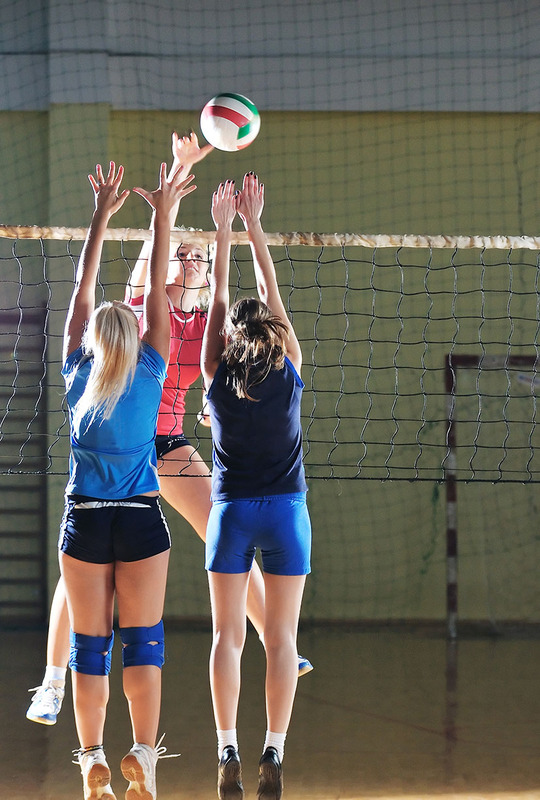 We know that early single-sport specialization can lead to overuse injuries. Excessive pitching in youth baseball can lead to overuse shoulder and elbow injuries. It likely contributes to the surge in Tommy John surgeries we are seeing in Major League Baseball today. Soccer can lead to overuse bone and joint injuries of the knee, ankle and foot in the same way. The real toll of soccer practices almost every day and tournaments almost every weekend, though, is not one seen on x-rays or MRIs. The practices, the tournaments and the constant push to excel can take the fun out of soccer. The mental and emotional wear and tear can do just as much damage to kids long-term. If your kids like playing soccer, let them play. Just don’t push them to play year-round without a break before they become teenagers. If they like playing other sports too, give them time to play them. They might learn to enjoy soccer more. Maybe they will even help us win a fourth World Cup title one day. Note: This post appears in a modified form as my sports medicine column in the July 6, 2015 issue of The Post and Courier. U.S. women were multi-sport athletes before focusing on soccer. By Martin Rogers. USA TODAY. July 3, 2015. The kids are alright. By Eddie Matz. ESPN The Magazine. February 24, 2014. Are kids specializing in sports too early? US Youth Soccer. Youth Beat: Field Play Makes Better Keepers. By Mike Woitalla. Soccer America. February 2nd, 2009. Will insurance companies decide the future of football and other contact sports?